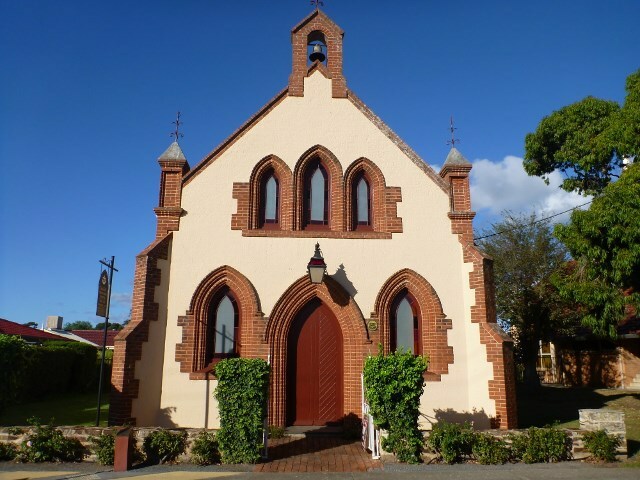 The Marion Historic Display Centre is located at the rear of this old Church on Township Road in Marion. Enter the front gate and walk down the left hand side to the rear. Image by Out and About. Tucked in behind the historic Wesleyan Church on Township Road lies a small building in the backyard. This was once the Sunday School room. 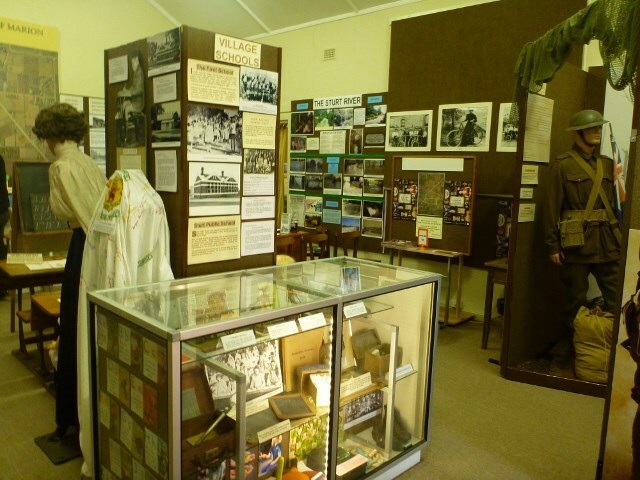 Nowadays it is used by the volunteers of the Marion Historic Centre for a small museum and display area. 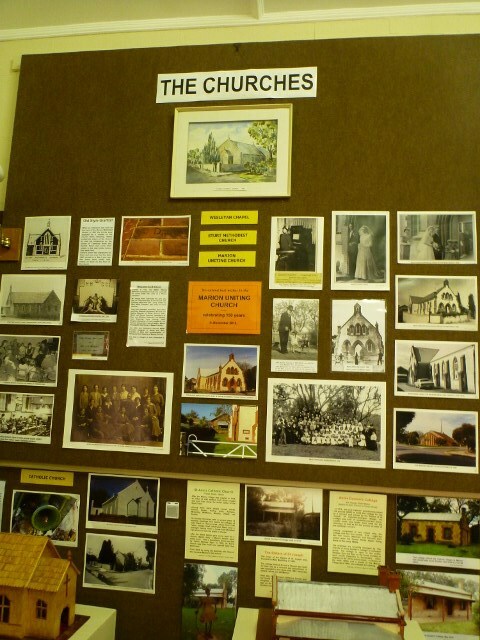 Read these information boards which tell you all about how Marion Village came to be, Image by Out and About. A visit to the original town site of Marion, would not be complete without a stop at this tiny museum. It is chock full of information on how Marion was first surveyed by Colonel William Light and his company including his team of Finniss and Nixon. You can read all about their important work in establishing the township of Marion. This little building is crammed with information on the olden days of Adelaide. Image by Out and About. On the walls you can read about early life when the whole region was market gardens and small abodes. Church life and school days are reflected here also. 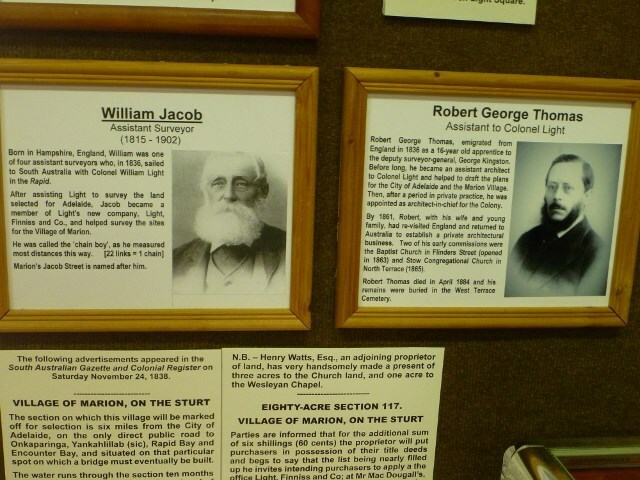 There is some information on how Marion men contributed to the war effort. 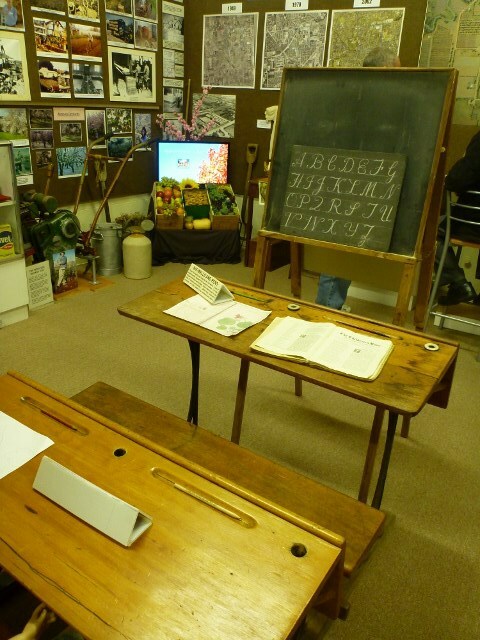 Two early school desks, with ceramic ink well holders. Image by Out and About. This is the building you are looking for. 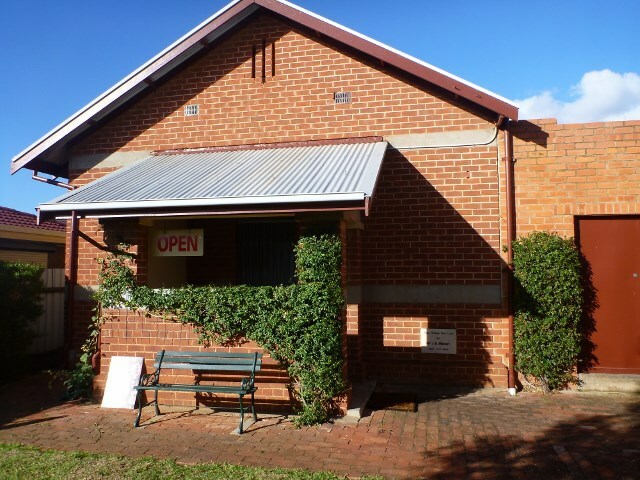 The Marion Historic Display Centre is housed in this old 1927 Sunday School Hall at the rear of the Wesleyan Church on Township Road. 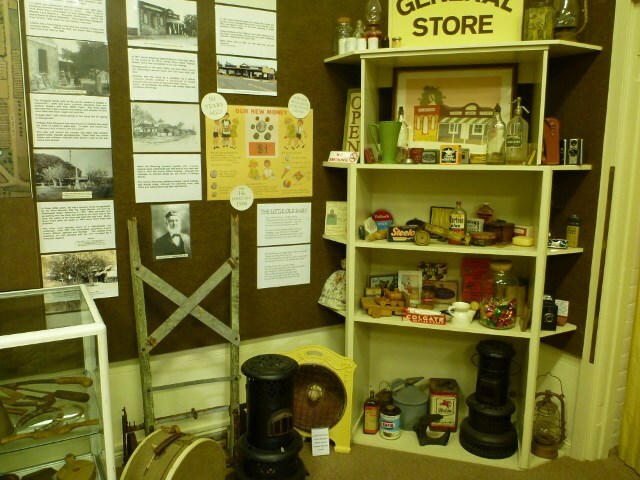 This tiny museum is a credit to the many volunteers who have established it. These people know everything about Marion and love to chat about the early days, or assist with family research. The volunteers are happy to organise guided tours for groups and social clubs when arranged in advance. You may find some parking near the modern church a little further down the road. Where: Behind the Wesleyan Church on Township Road.